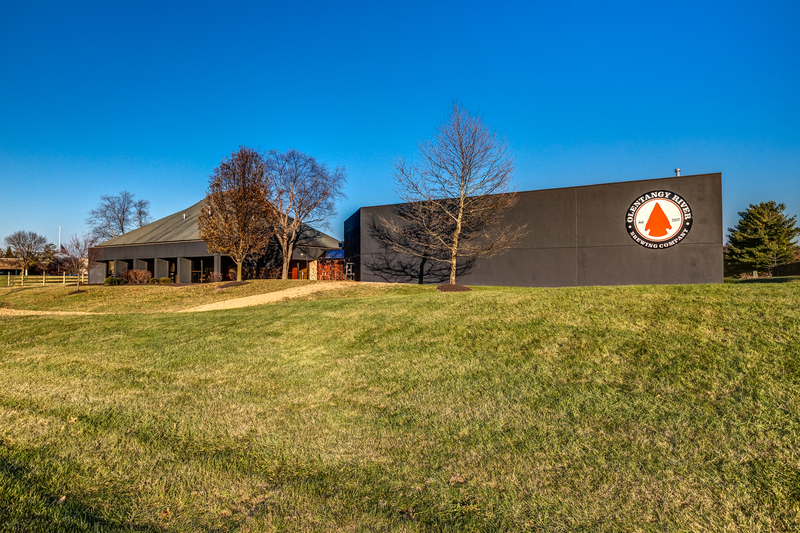 Olentangy River Brewing Company (ORBC), repurposed a 1980’s warehouse and office building. The warehouse hi-bay space converted into a brewhouse with barrel storage. The industrial nature of the space made for a nice blend of new modern brewing equipment and technology with a possibility of future event spaces. The taproom is converted office space of the previous warehouse. The square layout with windows on all sides creates an inviting atmosphere upon arriving into the space. 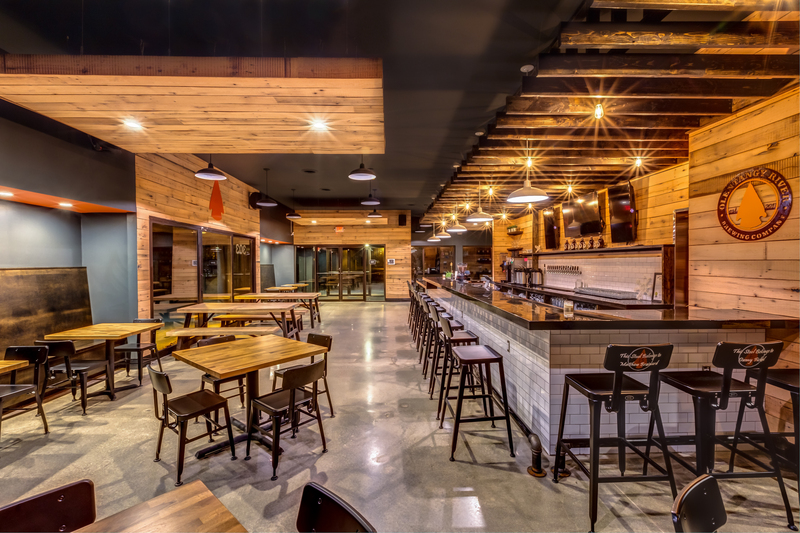 The bar reaches out to the front entry point and wraps around the corner, creating a dynamic corner bar which features both Coffee and Beer service throughout the day. 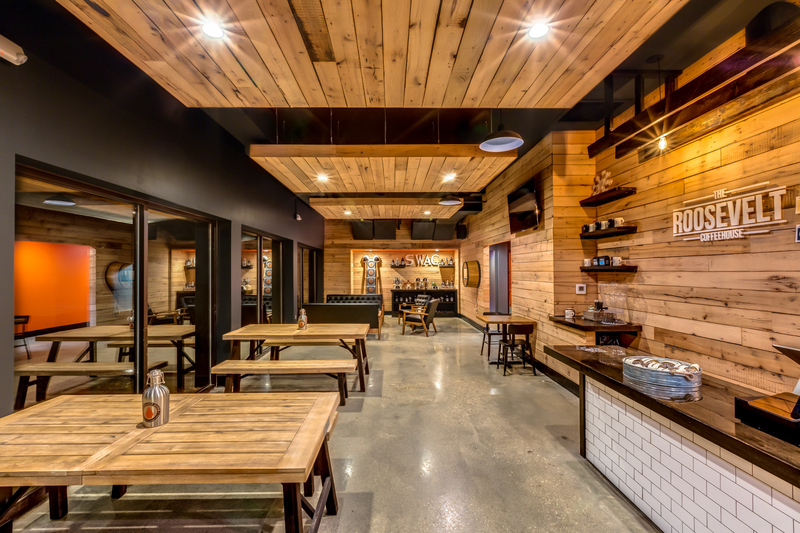 A small community room on the west side of the bar allows patrons the opportunity to have a small party room or gathering space. The back of the house was laid out with keg storage and utility in the center, allowing light into the back corridor from the small patio space that separates the two buildings. The materials reflect the historic rustic yet modern nature of the Olentangy River and the surroundings. Simple elegant materials, wood, tile, concrete. 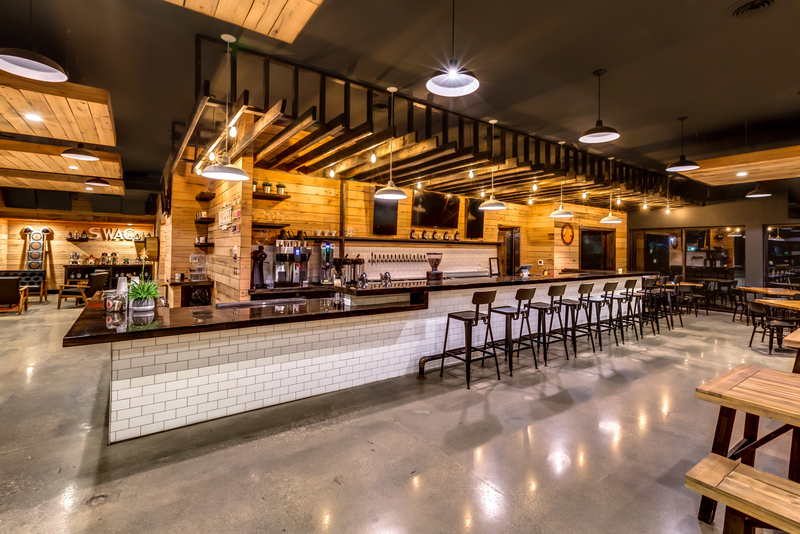 Polished Concrete floors are functional and yet still tie into the industrial nature of the space, flowing continuously throughout the taproom and brewhouse areas. 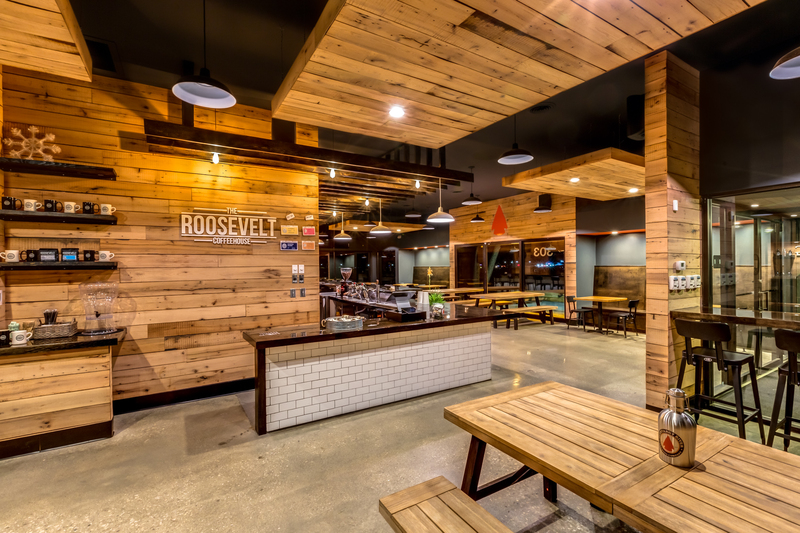 Wood wall panels wrap around the public space, bringing a sense of warmth to the space. 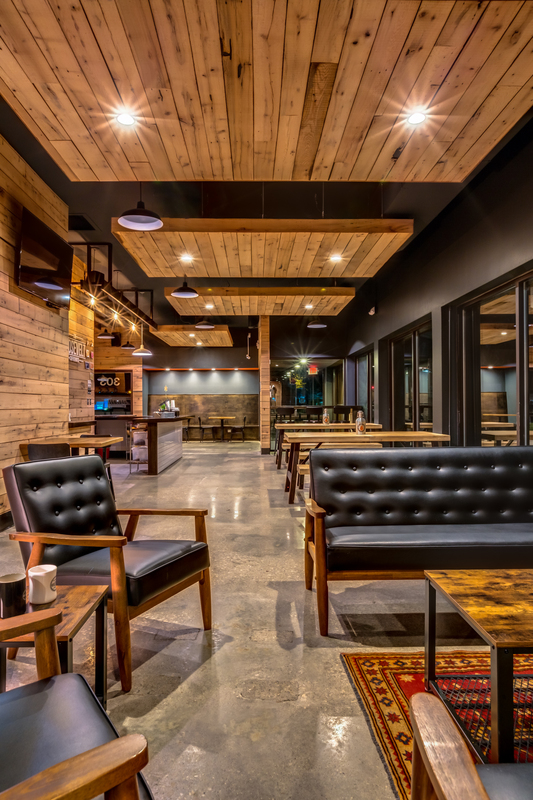 A wood trellis and wood clouds begin to break up the spaces in the ceiling, providing much needed acoustic baffles, as well as brings the scale of the tap room down. “The brewery emphasizes the importance of creating community in Lewis Center. “Our hope is that people will immediately feel welcomed when they walk in our doors, in addition to loving our beer and coffee,” says Ryan Wilkins, Co-Owner.